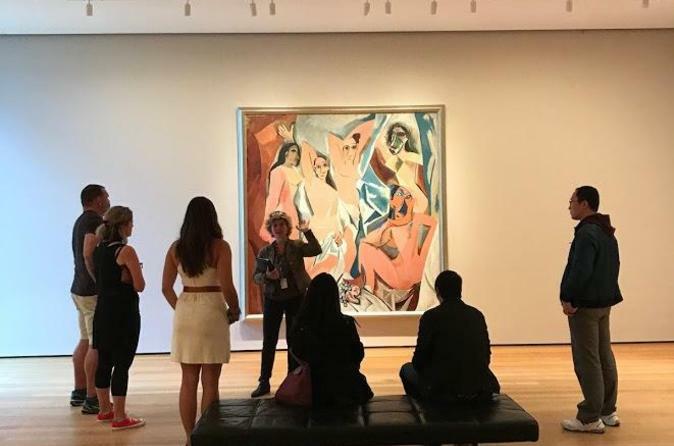 Få tidlig morgen tilgang til MoMA i New York City med denne Viator VIP-turen. Beat folkemengden på denne populære attraksjonen og kom før museet åpner for publikum for en 1-timers tur fortalt av en museumsguide. Ankomme på New York Citys museum for moderne kunst før den populære attraksjonen åpner for publikum. Tilbring neste time på en guidet tur til museets høydepunkter. Gå gjennom de rolige galleriene, uten folkemengder, for å se mesterverk som Salvador Dalí's Persistence of Memory, Vincent van Goghs Starry Night og Pablo Picassos Les Demoiselles d'Avignon. Din kunsthistoriker guide vil gi engasjerende fortellinger og insider tips om en av verdens største samlinger av moderne og samtidskunst. Du vil også lære om selve bygningen, designet av japansk arkitekt Yoshio Taniguchi. Etter turen, kan du besøke Skulpturhagen eller noen av museets spesielle utstillinger. Ta en matbit på Terrace 5 eller Michelin-stjernes The Modern. Our guide was amazing, she covered practically everything in just 60 minutes. The tour is a must if you want to enjoy the works of art and really appreciate the details in paintings such as Van Gogh's starry night. Enjoying and learning some of the most significant art works in history before the museum opens to the public and before the museum is flooded with the crowd. This is the way to visit the museums. Worth every penny. If you are a lover of modern art then look no further. The guide was well versed on the artists and I enjoyed the works she selected. I cannot overstate how amazing it was to have a private tour BEFORE the museum opened to the public. Our tour guide, Gayle, was very knowledgeable and I learned things about the artists I never knew before. If you love art, please don't miss this! This is THE away to see the great art at the MOMA!!! Great guide! Highly recommend! It is extremely beneficial to get early access before the crowds arrive especially at this time of the year. The guide was extremely informative and friendly. However, my children were not that interested in art, even the masterpieces that are on display at MOMA. A fantastic tour and well worth the cost to see some of the most popular paintings up close and with plenty of time for photo's without feeling rushed. Later in the morning there were queues 8 deep trying to see the same paintings. 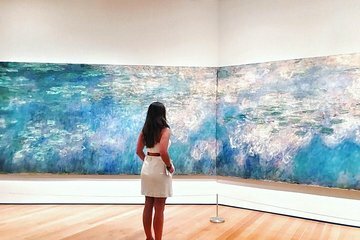 I would definitely do this again when visiting a major Art Gallery or Museum.